Professor Chwe (pronounced like chess without the ss) studies how people coordinate their actions when each person wants to participate only if enough others do. He finds that, while coordination sometimes occurs through evolution or adaptation, more often it is the result of explicit communication. 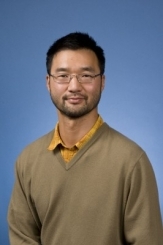 Professor Chwe's recent papers, including Communication and Coordination in Social Networks, Structure and Strategy in Collective Action and Strategic Reliability of Communication Networks, investigate how communication networks can resolve coordination problems. His most recent book, Jane Austen: Game Theorist finds common ground between the study of people’s choices and writing of the early 19th-century English novelist. Other areas of interest include jury decision making and television advertising. Professor Chwe has served on the faculty of the University of Chicago and New York University. He teaches courses on game theory for graduates and undergraduates.